Finding the right keywords is IMPERATIVE if you want your customers/clients to be able to find you. But what I often find with clients is that they are so engaged with their business that the keyword terms they think are being used by customers are often not being searched for at all. For example, I have a limousine company that I work with and have been for almost a year now. When he first gave me his list of keywords that he had been working with – one of his terms was “exotic limos”. As you can see on the attached – that term gets about 20 searches a month targeting New Jersey which is his location. Not worth optimizing for at all when you see terms lower on the image that have hundreds and thousands of terms. His thinking was that because he has some cars that other limo companies do not have that he should promote those – and that is a great idea, but he needs to focus on terms that represent those cars and can bring in more traffic. There were other terms that he was using including city+keyword combinations that were not being searched for at all – so we did a reanalysis of his list and came up with a whole new list. The results have led to an increase in not only search engine impressions but actual click through rates as well. So how do you find the keywords that consumers are really using? How do you find content ideas to create keyword friendly socially shareable content? Here are 5 of our favorite resources for getting keyword ideas. 1) Ubersuggest – this is always my first stop! I have posted a screen capture of what happens when I type in the keyword “nj limo” which is one of his core keywords. You can see the results that was returned that are relevant to that term and they are all broken out by alphabet! So it groups them by the keyword you enter and then adds terms to that keyword giving you an A to Z list of ideas! These are pulled from real user queries so it is a great tool to get new ideas. When you click on any of the green circles you can get more results for each specific term as well. 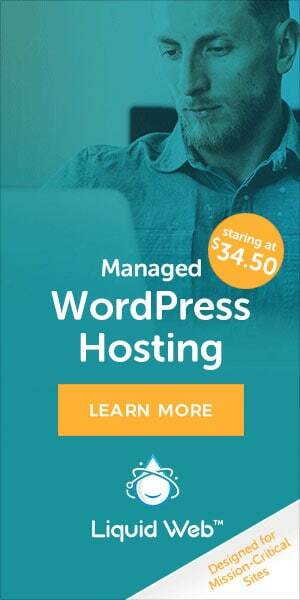 Definitely a must have for website owners! 2) Prismatic – (UPDATE: February 2016 – we noticed this website is currently down, we are leaving this here in the event it does come back up – it was a great tool that we hope comes back!) this is a great free reader that pulls in information based on keywords and topics you enter. It gives you a great easy to access way to find articles related to your topics which can help you create your own unique content. Remember it is OK to be INSPIRED – but copying is a big NO NO! You can subscribe to individual writers, feeds and more and it will recommend new resources based on what you read. 3) Google Trends – definitely used on every site we optimize! Google trends is a great way to not only see if a keyword is worth optimizing before based on the search trends, but you can also get additional keyword ideas. For example, if we type in “nj limo” we can see that overall traffic is down just a little over the years. We can see new keyword ideas, hone in on a specific area which is great for local businesses and even compare terms and analyze different dates. This is a powerful way to make sure you are using terms that are on an upswing and not falling in terms of search volume. 4) Amazon – yes you read that right! Because of a lot of the Google related resources are geared towards their own search volume and sometimes utilize the Adwords as a source of data – it is nice to have an alternate. Amazon is our go to for e-commerce clients as it allows us to see what is popular in terms of searched keywords. Simply go to Amazon’ site and start typing in a term that is related to your product line and you will see a drop down appear with related terms that have been searched for on Amazon. 5) Soovle – what a great way to view suggestions from multiple search engines! Soovle is an aggregator that will help you get keyword ideas from several sources. Easy to use! Every client has different needs and this is only a partial list of the many tools we use to make sure we are getting the keywords that work for a client to increase engagement and ROI. But if you are trying to do it yourself – hopefully these can be a great resource to help you get started!